The charges were filed this afternoon against Noe Saucedo, 23, who is accused of colliding with a truck while driving a stolen Ford F-250 Wednesday afternoon on Somersville Road in Antioch. The collision killed 4-year-old Lenexy Cardoza. 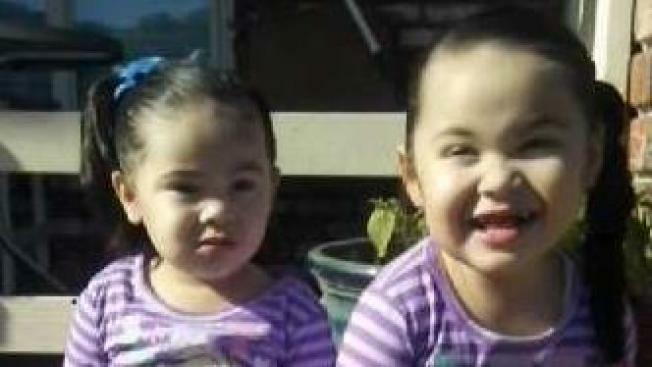 Her mother and 2-year-old sister remain in the hospital, sheriff's officials said. The events leading up to the collision unfolded at about 12:45 p.m. Wednesday when sheriff's officials received a call regarding a stolen Ford F-250 in Pittsburg. A short while later a sheriff's deputy spotted the stolen truck on Bailey Road and the deputy followed it as it went east on state Highway 4. The deputy initially did not turn on his emergency lights. Sheriff's officials said as Saucedo exited the highway at Somersville Road, he allegedly sped up, prompting the deputy to turn on his emergency lights. Saucedo then allegedly drove through a red light and collided with a Ford F-150 going south. Three occupants inside the Ford F-150, Lenexy, her sister and her mother, were taken to a hospital, where Lenexy died a short while later. According to sheriff's officials, Saucedo has also been charged with felony evading, possessing a stolen vehicle, possessing methamphetamine and possessing heroin. Saucedo is being held in the county jail on $1,130,000 bail. Sheriff's officials are still trying to determine why Saucedo stole the truck, sped away from the deputy and why he ran the red light and whether he was impaired at the time. "Clearly, suspect Saucedo took a series of actions that led to this tragedy," Contra Costa County Sheriff David Livingston said in a statement. "We are saddened by the loss of life and offer our deepest sympathies to the family." Anyone with any information about the collision or anyone who witnessed it is asked to get in touch with the sheriff's office at (925) 646-2441. To send a tip, people can email the sheriff's office at tips@so.cccounty.us or call (866) 846-3592 to leave an anonymous voicemail.